Consumers typically focus on the down payment, length of the loan, and the mortgage interest rate when considering mortgages and home prices. Those are the biggest factors in your monthly expenses. But homeowners association (HOA) dues can add a sizable chunk to your monthly costs, if you choose to buy a condominium. 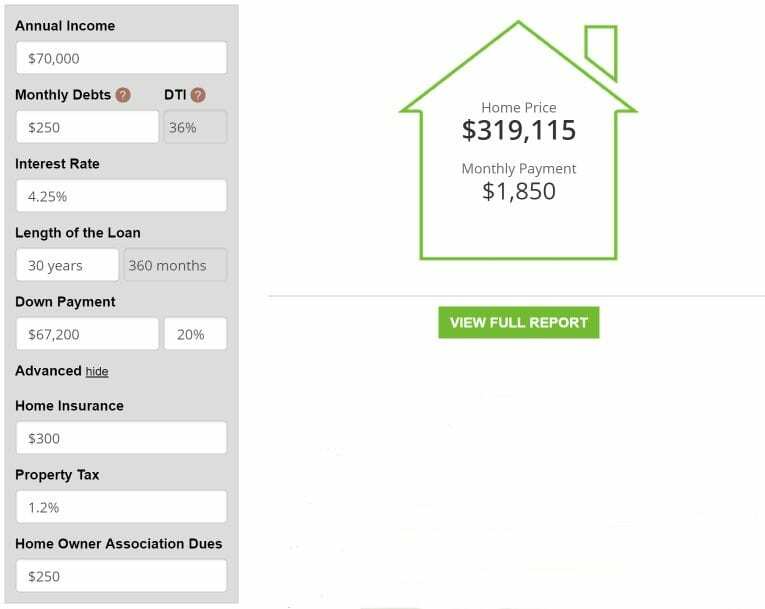 A good mortgage calculator shows how seemingly little things add up. Should you buy a condo, or for that matter, any home with HOA dues? Or should you keep looking for a home outside of any HOA community? A focus on downpayment, interest rates, and length of loan is understandable. They form the basis of what a mortgage will cost each month and how much house you can afford. 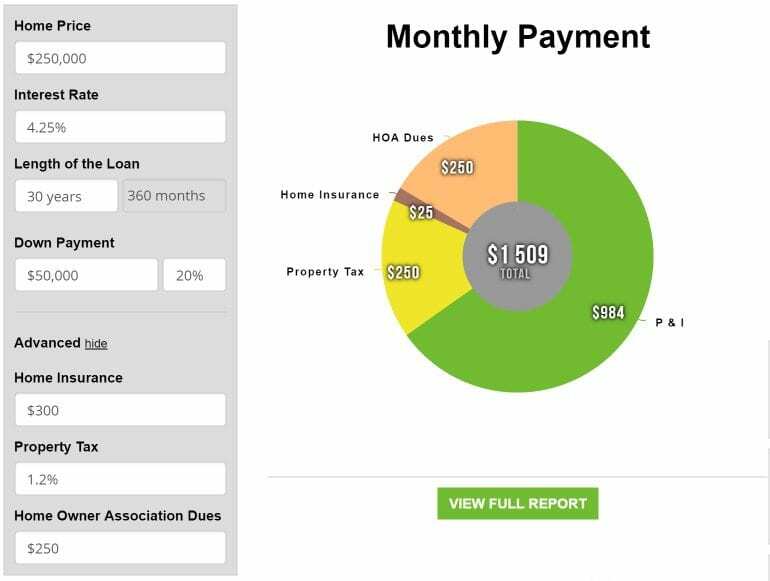 But open a mortgage calculator with an HOA dues feature to consider all costs. A payment of about $1,500 per month would yield a home price of about $290,000, assuming no HOA dues. But other costs come into play when considering a condo. HOA dues have more effect on things than you might expect. How much you can afford with a set payment changes dramatically when factoring in HOA dues. 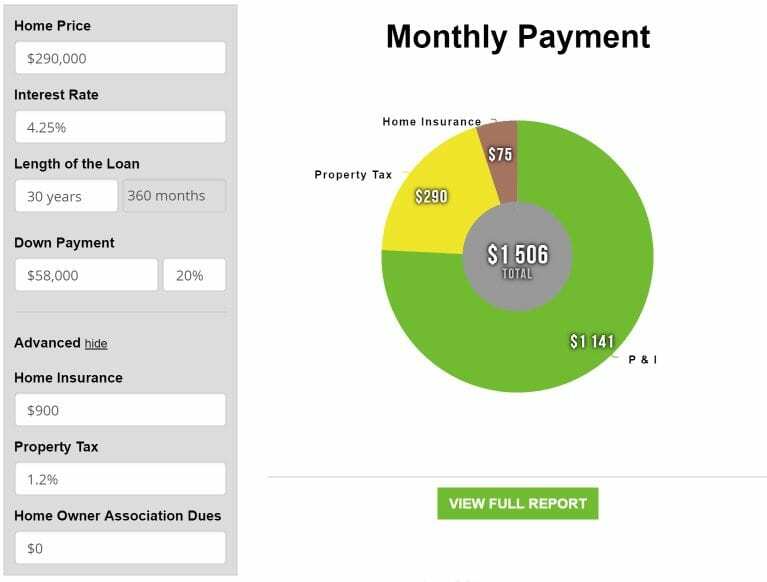 In the mortgage calculator, set dues to $250 per month. We will also assume that home insurance will go down by two-thirds. On a condo, you only have to insure the inside of the unit. Structure insurance costs are included in your HOA fees. Now, for around $1,500 per month, your home price is cut to $250,000. That’s a forty thousand dollar reduction in buying power. Some buyers choose a condo for other reasons besides price. Sometimes their proximity to employment centers and low maintenance are attractive aspects of condo ownership. But if your choice to buy a condo is solely based on spending less, you might look at higher-priced free-standing homes, too. 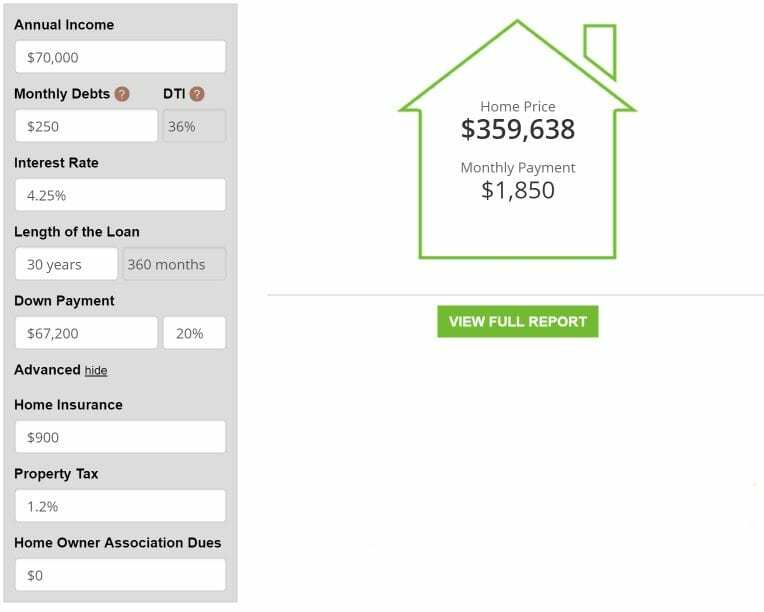 Home buyers often plan their home price based on annual income. Assuming $70,000 annually and twenty percent down, a consumer could afford a home of about $360,000. Now add a $250 monthly HOA fee. The most expensive home you can buy drops below $320,000. HOA dues play into the house-or-condo decision. Many home buyers assume a condo is the cheaper option, but that’s not always the case. A single-family residence with no HOA dues could be the better value. Free-standing homes typically increase in value faster, are easier to sell, and sometimes provide longer-term housing for a growing family. If you are considering a condo, factor in the HOA dues and see if you can purchase an HOA-free home for the same monthly payment. 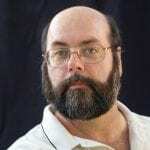 HOA dues matter. Be sure to check the listing of any property you buy for homeowner dues. These fees show up on non-condo property types, too. Planned-Unit Developments (PUDs) are neighborhoods with common-use areas like playgrounds, gyms, and landscaped areas. These amenities cost money to maintain, and those funds are raised through HOA fees. To avoid HOAs, look at older neighborhoods. PUDs are becoming more popular. You may have to widen your home search area to find a home outside an organized community or association. Whether you choose a condominium or a free-standing house, mortgage rates are low. Get a rate quote for your upcoming property purchase at today’s affordable financing terms. All quotes are fast, free, and come with access to your live credit scores. No social security number is required to start.